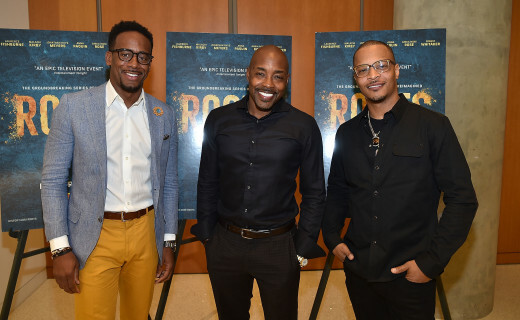 PHOTOS: Will Packer, TI Ed Lover, & Ryan Cameron Hosts #Roots Private Screening in Atlanta! I had the opportunity to check out the first episode of ROOTS the new miniseries presented by the History Channel. I grew up watching the miniseries and did not know if we needed another slave story. But after seeing the first episode and listening to Director Will Packer speak about his motivation to recreate this epic series; I am ecstatic to share this historical moment with you all. The movie is a visual masterpiece and a great conversation piece about being American. 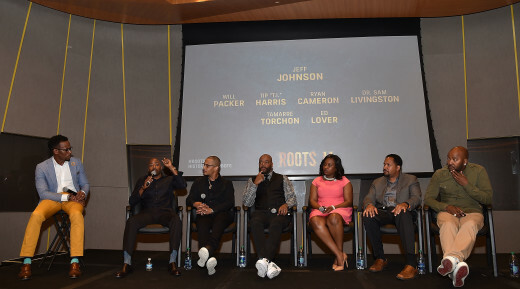 The private event was held at Atlanta’s Center for Civil and Human Rights and some of Atlanta’s most influential were in attendance to see the first episode and discuss its impact. 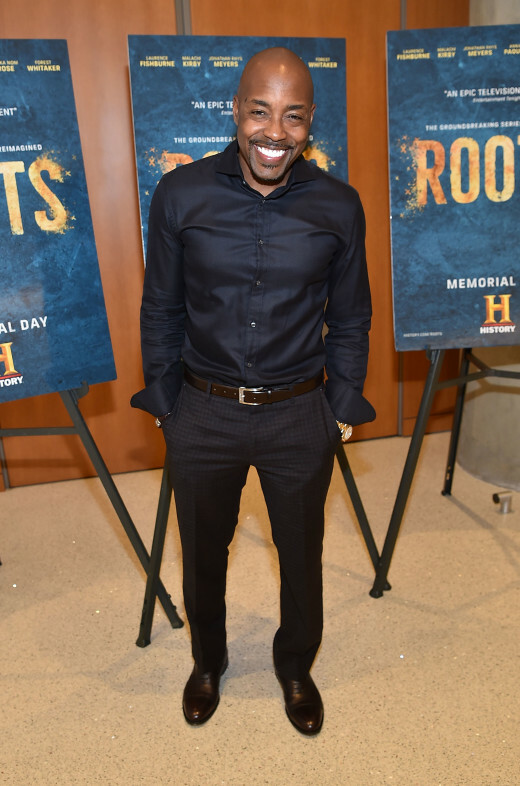 In celebration of the HISTORY’s new miniseries, ROOTS, Cast Member Tip “T.I.” Harris and Executive Producer Will Packer hosted an advance screening of the first episode of the show in Atlanta on Monday, May 9, 2016 at 7:00 PM at the Center for Civil and Human Rights, with a panel discussion following the screening moderated by BET and The Rickey Smiley Morning Show personality Jeff Johnson including: T.I. ; Will Packer; Ed Lover, Hip Hop legend & host of the nationally syndicated “The Ed Lover Show”; V-103 morning show personality Ryan Cameron of The Ryan Cameron Morning Show; Dr. Samuel Livingston of Morehouse College and President of the Atlanta chapter of the National Action Network (NAN), Tamarre Torchon. Civil Rights Leader and Former Mayor of Atlanta, Ambassador Andrew Young, was also in attendance and made a couple of remarks at the close of the Q&A. HISTORY® premieres “Roots” on Memorial Day 2016, airing over four consecutive nights at 9 p.m. beginning Monday, May 30th. The four-night, eight-hour event series developed by HISTORY, from A+E Studios, is a historical portrait of American slavery recounting the journey of one family and their will to survive and ultimately carry on their legacy despite hardship. “Roots” will be simulcast on A&E and Lifetime, in addition to HISTORY. 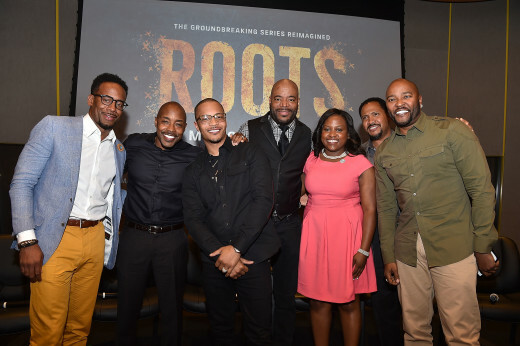 Roots’ will allow new audiences to experience this epic family saga with a new vision that is both incredibly inspiring and tremendously entertaining. Nearly 40 years after the premiere of “Roots” captivated the nation, take a look back at the cultural phenomenon and its lasting legacy: On January 23, 1977, millions of viewers tuned in to watch the first episode of a new miniseries on the ABC network; a multi-generational exploration of author Alex Haley’s family tree that traversed more than a century of the African American experience, from the colonial-era slave trade through Reconstruction. Over the course of eight nights, “Roots” captivated the nation. Movie theaters shut down, while bars and living rooms filled; dozens of civic leaders across the country declared a celebratory “Roots” week in honor of the program; millions of Americans were inspired to trace their own lineages; and America was forced to confront the brutal reality of slavery and the lingering scars it had left on the nation. 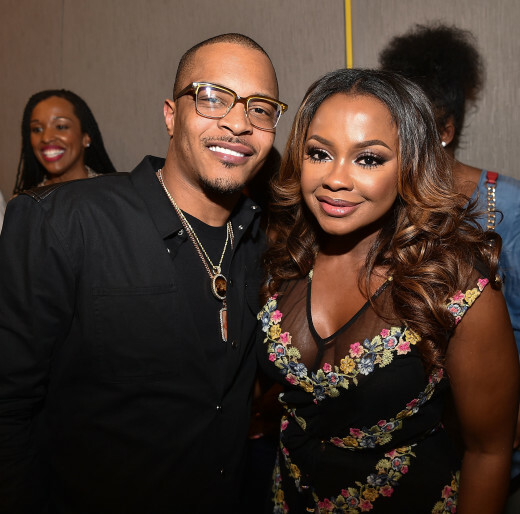 PHOTOS: T.I. Gives out Over 1,000 Book Bags to Atlanta Children!